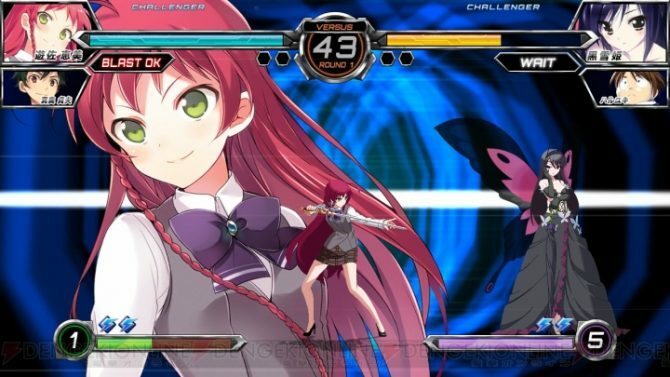 To celebrate their 20th anniversary, light novel publisher Dengeki Bunko teamed up with French Bread to create Dengeki Bunko: Fighting Climax, which features various iconic characters from the Dengeki Bunko brand, such as Taiga Aisaka from Toradora, Koko Kaga from Golden Time, Shana from Shakugan no Shana and more. If you aren?t familiar with French Bread, they are the developer responsible for the Melty Blood games as well as the recently released Under Night In-Birth:Late. While this isn?t among French Bread?s best work, the game can definitely be enjoyed by Dengeki Bunko fans, although fighting game enthusiasts may be a bit more conflicted. 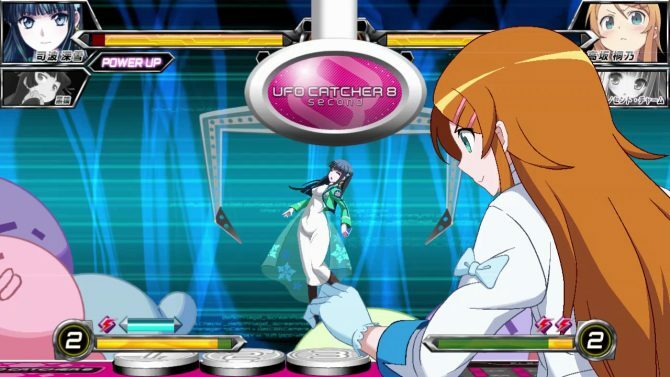 As a traditional fighting game, the bare-bones story comes with the territory. 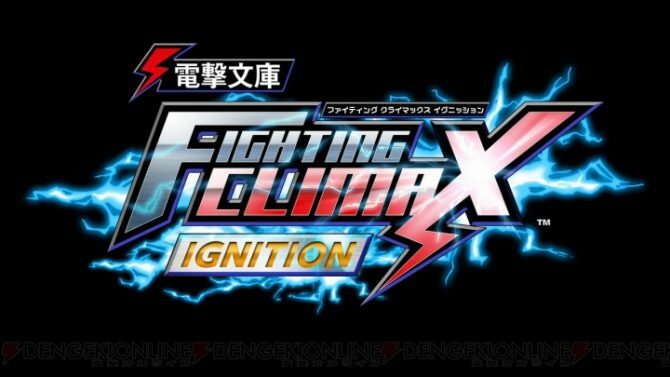 You will fight up to eight fighters which later includes either Akira from Virtua Fighter 5 or Selvaria from Valkyria Chronicles, depending on if you defeated each previous fighter in a certain way. Luckily, unless it?s BlazBlue or Persona 4 Arena, few fighting game fans actually buy traditional fighting games for the story so the lackluster one here is not a big deal for me. 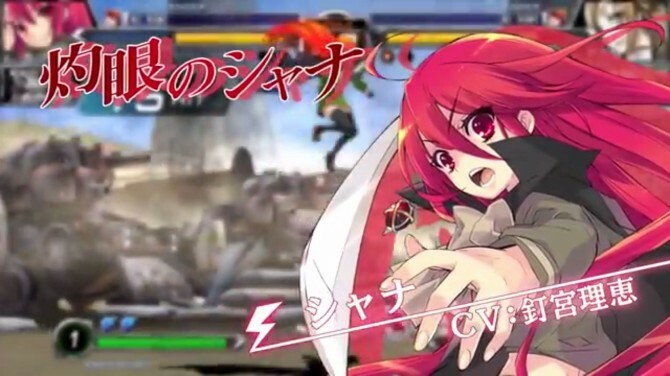 Additionally, Dengeki Bunko also features another Story-like mode called Dream Mode. While it’s short as it only includes six fights per character, the varied and great character interactions are what?s most enjoyable here. This mode is definitely geared for those who want to see their favorite franchise characters interact. One of my personal favorites was the interaction between Taiga and Shana as well as their battle introduction dialogue, which both basically said that they feel like they know each other. That?s because they share the same voice actress ?Rie Kugimiya. 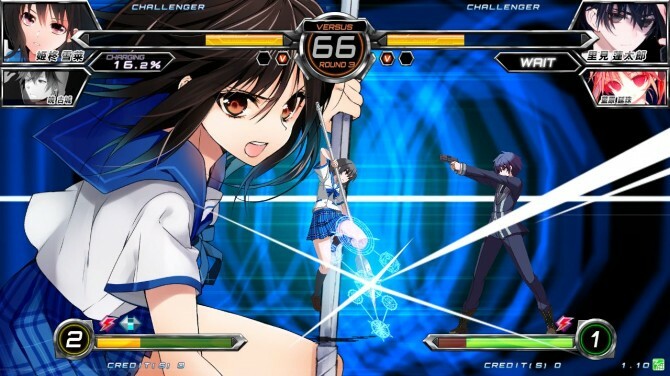 Of course this wouldn?t be a traditional fighting game without modes like Survival, Score Attack and Time Attack. While the modes aren?t anything out of this world, the more modes the game offers the better in my opinion. They are definitely good time killers as well. The online mode offers nothing that other fighting games haven?t offered, but offers what?s needed, which is definitely a plus. Additionally, I didn?t have any connection problems when playing with other players and was a pretty smooth experience all around. 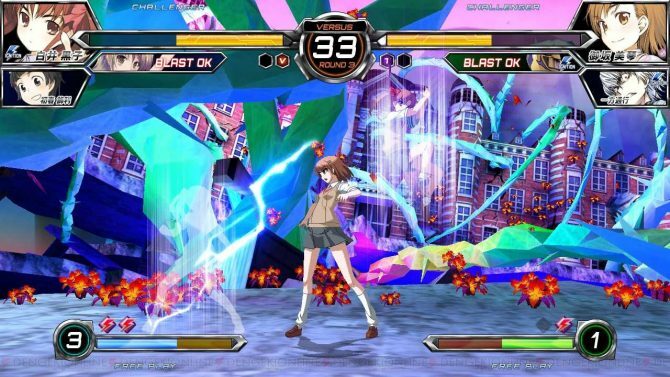 Similar to Under Night In-Birth:Late, Dengeki Bunko?s gameplay mechanics are friendly enough for newcomers to adapt and jump straight into the battle. The game uses the standard three main attack buttons — weak, medium, and strong — as well as the support button which summons your support character to aid you in battle. Naturally, once summoned, players need to wait until their support gauge fills up again to summon their support character again. The game also has a Blast feature, which similar to other traditional fighting games, allows players to escape from combo, which has its own cooldown as well. As for the Trump Card, they come in both Red and Blue. 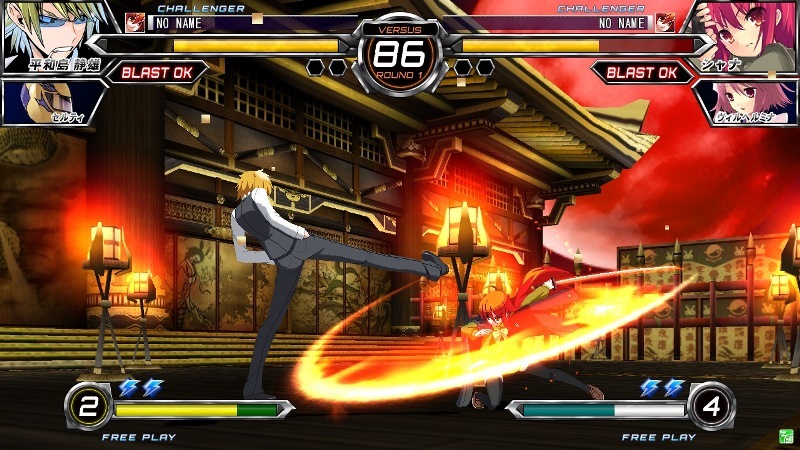 Red allows a player an offensive attack, in which in cases like Taiga, she kicks a trash can which goes in a diagonal arc full screen. For characters with Blue Trump cards, like Kirito, they’re granted a special property such as a second sword. I really like that its limited to two, as Red Trump Cards, if successfully executed, can take off 40 percent of an opponent’s health or more if the player uses both successfully. Since the attack is easily blockable and avoidable this is not really an issue but considering the amount of damage it causes, it can easily be abused by newcomers. 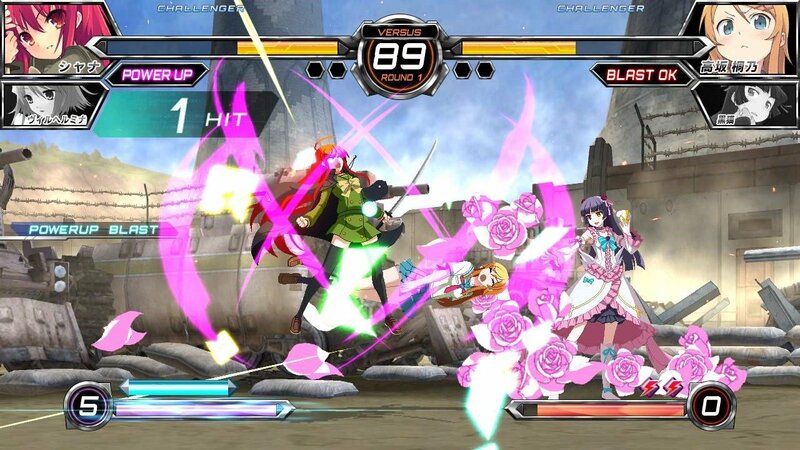 Performing combos, whether you?re playing on the PS3 or PS Vita versions, aren?t too complicated. For the most part, most character shares the same inputs, but mastering each individual character should take its own time however. Just like Persona 4 Arena Ultimax, the auto-combo feature rears its ugly head and I still despise it. 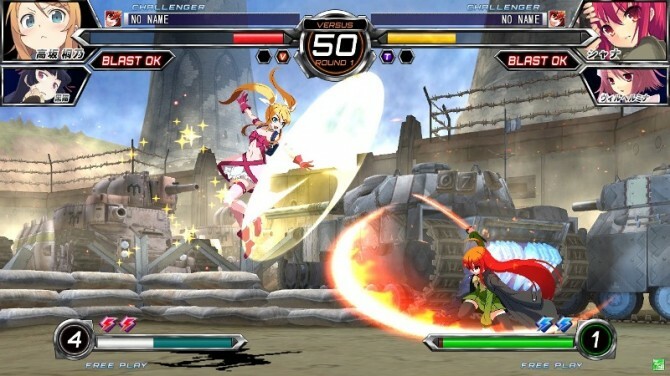 Basically, it allows the player to perform a combo by button smashing. While it is easily avoidable, offering such features ruins what could be a fun competitive game and turns it into a casual fest. Not only is the game too easy to play, but unfortunately its highest difficulty is too easy as well. While arguably it is not recommended that players train in the highest difficulty in competitive fighters, the highest difficulty, like in a lot of fighting games, should offer a sense of challenge. While it has to be purchased with in-game money, I really do love that the game offers a variety of alternative colors for your character. Naturally, to use your newly purchased custom color, you must replace the original default color, but that isn?t really a problem. 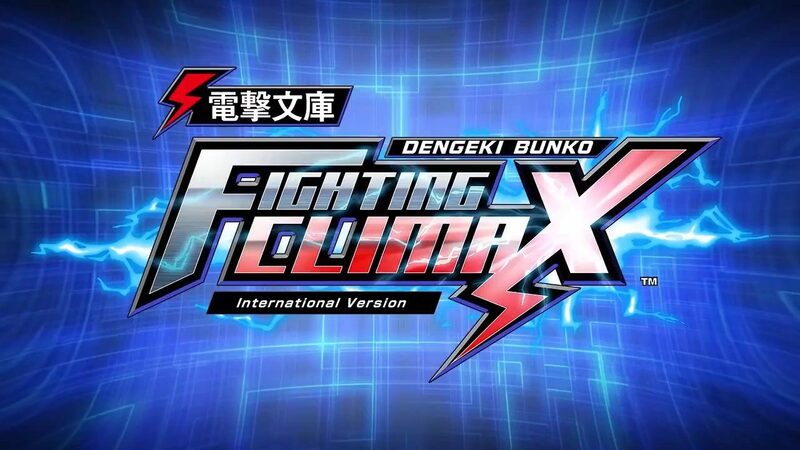 Dengeki Bunko: Fighting Climax is only enjoyable if you enjoy the many series’ that it features, but I can hardly recommend it if you?re looking for a competitive fighting game to jump into. As a fan of the Dengeki Bunko brand, I did enjoy the game but I would hardly recommend it at full price.